I’ve really loved Stiefvater’s other works. She allows the plot to unfold gently and organically and populates her worlds with a wide assortment of colorful characters. With Shiver (and later book Sinner), I found the characters to be flat, uninteresting, and far too self absorbed. Ultimately, with Shiver I found there to be no room left for me in the narcissistic needy bubble of a world created by the narrowly focused characters. This is one series where Stiefvater’s usually seamless prose turns the story leaden and the characters completely unrealistic. Story: When Grace was a child, she was attacked by wolves. Every Winter since then, a strange wolf with golden eyes appears in her back yard and haunts her dreams. When she meets a boy with the same golden eyes at a bookstore one Spring, she becomes obsessed. That boy, Sam, involuntarily changes into a wolf with the cold – and has been obsessed with Grace since he saved her from death that fateful day so long ago. Together, the two will navigate their obsession with each other as well as the tricky politics at Grace’s high school and the wolf pack. Neither is happy with the lovers and it will result in deadly consequences. Shiver should have been a slow burn of a novel. But Stiefvater’s usual conflicted and nuanced characters in this series become atypically unlikeable. I found I wasn’t rooting for or even liking Grace or Sam. That’s problematic in a book that is essentially a romance with a few subplots meant only to add some angst into the relationship (but failing to add a spark at the same time). And as much as I loved Stiefvater’s Scorpio Races and Raven Boys, there just wasn’t enough meat to the plot to make me want to continue reading. I was bored half way through and found myself skimming the last half just to get it over with. I later received an advance reader copy of Sinner (#5 in the series?) and actually liked that book even less – the characters were completely self obsessed. Clearly, this wasn’t the series for me. I listened to the Audible version and the narrator did a decent job. This entry was posted in romance, urban fantasy, YA and tagged curse, lycanthropy, mercy falls, minnesota, werewolves, winter. Bookmark the permalink. Shiver/Linger are the only Stiefvater novels I’ve read. I liked the characters okay in Shiver, and remember being really impressed with how she wrote the flashback scene in the bathtub. But Linger added new characters I cared about less, and I wasn’t invested in any of their storylines enough to finish the series. Do you prefer Scorpio Races or Raven boys? I hear them recommended so often I feel like I should give her another chance, but Shiver didn’t impress me enough to have bothered so far. With your review, I wonder if I just picked up the wrong one to judge her by. Hi! Scorpio Races is a very atmospheric, otherworldly, almost historical; engrossing and very much like a 1900s version of a fairy tale. It’s very well written and won many awards. The characters are as conflicted as in Shiver but much more likeable and interesting, in my opinion. And they are very different from Shiver. Raven Boys has a great mystery running through it and a wide cast of really fascinating characters. The story makes huge surprising turns in each book; as well, each book focuses mostly on one of the Raven boys and his history. I read the Scorpio Races because I really liked Raven Boys. Scorpio Races is more literature and Raven Boys is more YA (but original YA). 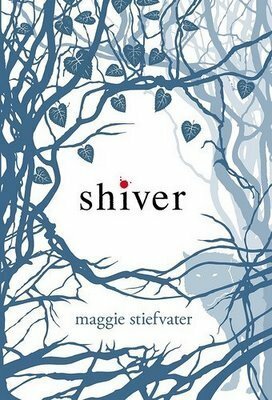 Shiver felt like a derivative of Twilight but without the Mary Sue aspect of Bella Swan. It was just missing something – a spark.